Writing about movies to support women empowerment, I neglected many great movies that I watched this autumn. 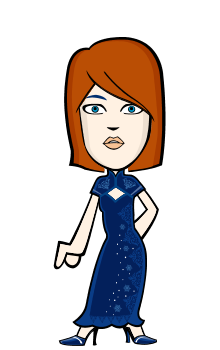 I have no time to add a review of all of them, but I want to mention in my blogs at least those that have left a bigger impression. I start from the story about the two imprisoned men who became friends on a terrible island-prison and began to develop an escape plan. It's a biographical drama film PAPILLON, directed by Michael Noer who introduced a new version of the movie PAPILLON that appeared in 1973. The new film, like the original, was based on Henri Charriere memoirs published in 1969 as an autobiographical novel, where the writer revealed an incredible story of a real French prisoner. In the center of the story is Henri Charriere, a virtuoso chief of safes, for which there are no closed doors. Because of tattoos on the chest and attitude towards life friends call him a papillon. The one difference between these two movies is that the new film was complemented by events from 1972 bestseller's sequel Banco. 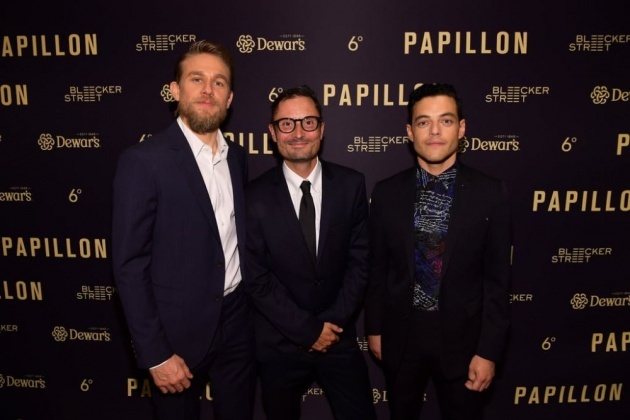 The film PAPILLON was shown for the first time in the autumn of 2017 at the Toronto film festival, but officially in cinemas around the world began to appear in 2018. A thief wrongfully accused of murder, nicknamed Papillon appears in the epicenter of the storyline. It's time for some entertainment - let's watch PAPILLON. One day the hero - the safes thief Henri Charriere (Charlie Hunnam) - decides on the last robbery and then is going to leave with his lover from France and start a quiet life in places where old enemies or police will not get to him. But the robbery went not according to the plan, and one of his partners committed a murder. The hero manages to escape from the crime scene, but the next day police officers found him and arrested in a home of his beloved. A twenty-five-year-old man was charged with brutal murder, for which the court, having not thoroughly analyzed the true picture of the crime, sentenced the innocent man to life in a strict regime colony. On the chest of a desperate adventurer, a tattoo appeared in the form of a papillon symbolizing freedom, which he lost on a sad misunderstanding forever. The prisoner is sent for a sentence to the prison. While in a single cell, Henri begins to think about possible ways to organize an escape from the first day of his imprisoning. However, to escape from a specialized prison, equipped with a surveillance system under close guarding, is practically impossible. In order to cope with those who report on him, Papillon is planning an escape plan, but in order to be executed, he needs money. He certainly does not have the money, but he knows who has a lot of them. 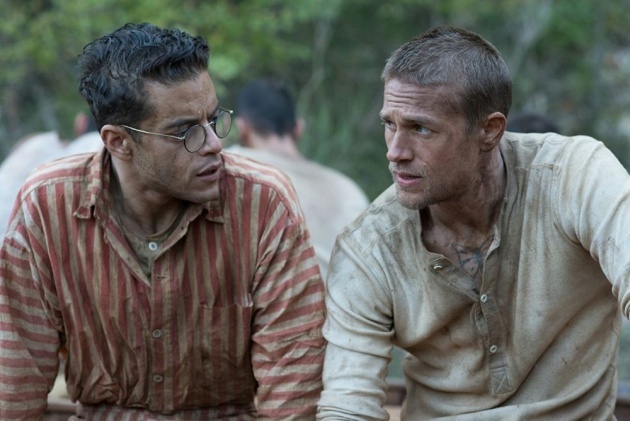 In a ship that carries the criminals to South America, Papillon establishes a friendship with money counterfeiter Louis Dega (Rami Malek) who was executed even for life. Without wanting to lose his chance, Papillon offers a bargain to him - the guard for him for the money. Louis in exchange for granted protection agrees to finance the Papillon escape. Becoming friends, men decide to create together an escape plan that may end up very sad for them. They finally made an escape but were caught, after which the heroes are waiting for terrible months in the punishment cell. The situation gets complicated when he is sent to Devil's Island, isolated from the surrounding world with vast water areas, which reduces the chance of escape. The prison building is surrounded by water on all four its sides, so any of well-thought-out escape plans is simply cut off at the exit of the prison's territory. Local guards punish everyone who tries to escape, and often punishment takes place as a public execution. Freedom-loving man is not ready to stay here until the end of his life; he stubbornly moves to his goal - escape at any cost. It is a sad story, and I guess many of you know from the first movie version that Papillon finally makes an escape already an old and sick person. While reading the movie PAPILLON review, check the Querlo chat: "What kind of movies do you like?" Before watching a new movie, I encourage everyone to see the original band so you can adequately rate this inspirational story from a fairly different perspective. The original film was focused on the world of two completely different men and their desire to be free, while the new film focuses on the inseparable friendship of the two, and how this friendship from an ordinary deal has grown into a very human relationship that even the most homogeneous family cannot boast. 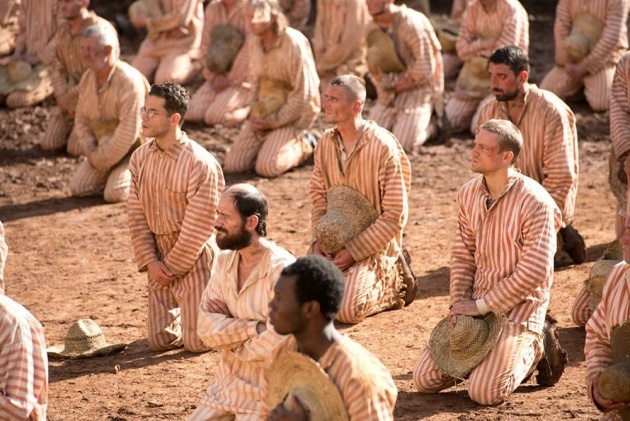 The film also tries to shock with unpleasant visuals that have to show the audience all the despair of the convicts. 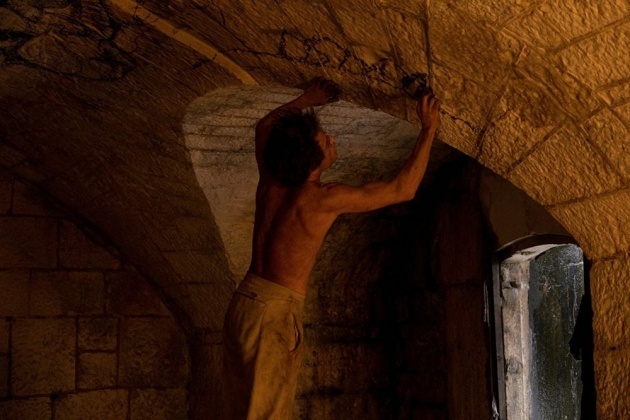 However, this is not modern prison, where the prisoners are still able to ask and require for something, but it's a very terrifying reality of those days, and the people, imprisoned even for little crimes, have to accustom there. So there is really no shortage of violence here. It is expressed in several ways - psychologically and physically. If during physical violence we see gut and other blood-enriched scenes, then psychological violence can beat down even the hardest ones. When you watch a movie, you can quickly identify with the heroes and feel all the pain together with them. The story of the prison escape itself is also worth paying attention to. Even if you know how this movie will end, one idea will not leave through the whole band - the belief that everything will be fine, so there is enough tension. It can be said that the whole film consists of tense moments that do not allow to breathe freely for a moment. And it really gives this band extra charm. If to be honest, the tape is too vague, too focused on the chemistry between the two main characters - excessive chemistry excessive, especially in prison films. Not too much attention is paid to escapes (yes, there are at least a few of them). There is almost no planning of escapes here, and the very process of escape is shown not sharp enough. In an attempt to expand the story of the main hero, to show more of his life, Michael Noer strongly breaks the pace of the movie. Because of this, the value of some segments in the fate of the hero catastrophically decreases. For example, the last escape, which should become the culmination of the many-year struggle for the freedom by Papillon, takes about three minutes. And the final jump loses fatalism. The sharp rocks of the Devil's Island as if do not make the hero absolutely no threat. All that Henri needs to escape - like on sentimental postcards - just believe in himself. The film became more pop, but at the same time more dynamic and spectacular than the first version. There has been more blood and scenes of cruelty, but strangely enough, they do not scare so much as the original did. There was obvious ketchup instead of blood, but there was a constant psychological pressure on the characters. Beautiful and simply exotic locations perfectly decorate the history that takes place somewhere in the depths of Guyana, among the forests and savages. Adventures, crime, hopes for salvation, action, and fights. Visually, the movie is well constructed, although some episodes were not fully convincing. Many critics like to compare both movies. I think, comparing two films is not to say stupid, but a little pointless: it's not a remake and original, but different screenings of the same story. It's a great work of cinematographer Hagen Bogdanski, very captivating. We shot primarily in Montenegro and Malta. The film takes place in French Guinea, but you can’t shoot there anymore. And the real prison is a museum now. So, for those reasons and budget reasons, we went down under to East Europe to Serbia, Montenegro, and Malta. - Hagen Bogdanski. The soundtrack of the movie is great too. The music sounds somehow intimately and elegiacally. The unique music leaves a very great impression. Just listen to David Buckley’s “Papillon”. Michael Noer's film looks a little old-fashioned, not fitting into the standard 1,5-hour timings and stretching out the story for as long as necessary. So, for some of you, it may seem a bit too long, but this is more a feature of the adaptation of an autobiographical book. I can pay tribute to Michael Noer in how precisely selected leading performers because the actors were supposed to withstand the hardest comparison with Steve McQueen and Dustin Hoffman. Of course, the great actors also contributed to the success of this movie. Famous actor Charlie Hunnam known from the series Sons of Anarchy performed his most important role in his career. Charlie Hannam surprisingly accurately managed to fit into their images. Charlie Hannam remarkably expresses his resolute attitude, reveals the inner core that helps to blow the hits of fate, and at the same time imitates the insanity of a prisoner placed in a single cell for two years. It played so convincingly that you absolutely believe: the head of the prison institution really had no reason for indecision, thanks to which cheating succeeded. 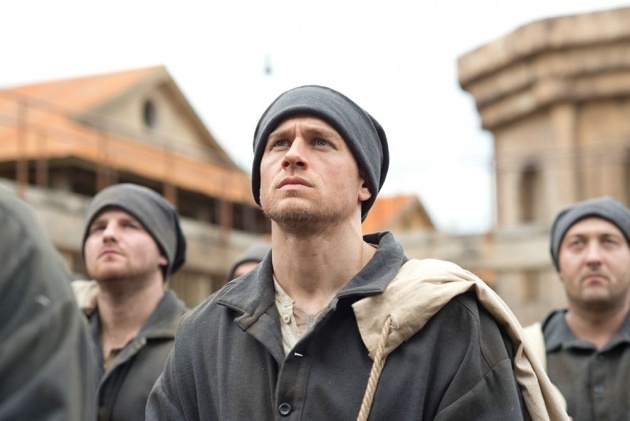 Charlie Hunnam played one of his best roles: Henri Charriere changes throughout the film - a Parisian guy turns into an enthusiast who was trying to break a rigid prisons system, but never succeeded, and then becomes a completely wise load of lived years. Actor Rami Malek ("Mr. Robot") also coped well with his character. The tandem of these two has performed the same well as Dustin Hoffman and Steve McQueen in the former version. 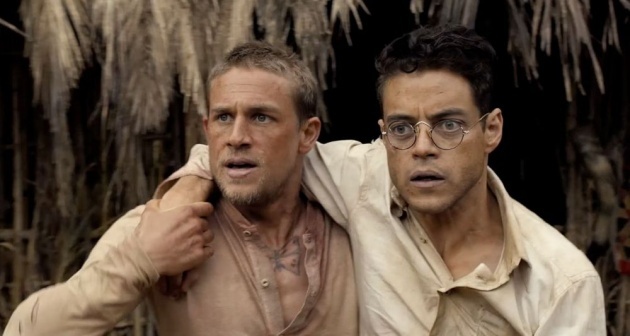 Rami Malek has already proved his ability to reincarnate - the actor managed to give new aspects to his character. Together both actors make you feel how strong is the feeling of longing for the freedom. It is better to choose death in the forest or in the open sea, desperately struggling with the raging element trying to leave the damned place than to stay imprisoned forever. Those days, hours, minutes, when the illusion arose that it was about to happen - and it would be possible to escape from the chase, really cost a colossal risk. Rami Malek, though not reaching the level of Dustin Hoffman, also creates a memorable image of a person who has appeared where he cannot comfortably exist. 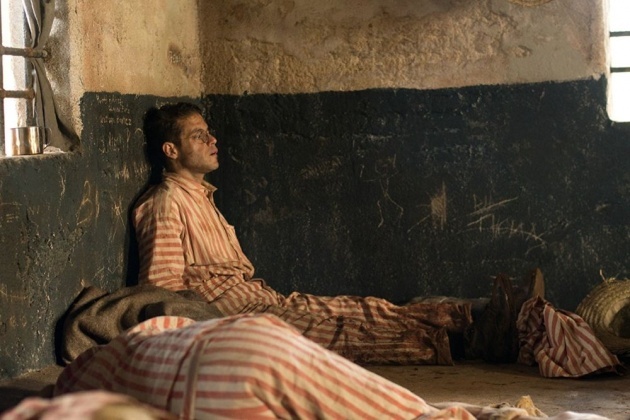 Stars like Roland Moller, Tommy Flanagan, Eve Hewson, Michael Socha, Ian Beattie, and Yorick van Wageningen also added their contribution to this prison film. To sum it up, this is one of the better projects of the prison film in the last decade and a film that did not make the shame to the original version. This is a rare case where remake, especially classics, is worth paying attention to. It's a story of honor, friendship, and endless stubbornness, and a desire to escape to freedom at all costs - even if that price is an incredible high. It remains unclear what kind of audience the new Papillon is designed for. Fans of the classic version, most likely, will blame it for insufficient open topics and problems shown. At the same time, young audiences who want to watch modern cinema with a star cast are unlikely to endure more than two hours of timing. I still hope that this film will find its viewer.